[Intro] I’ll be your DJ Monday, Tuesday, Wednesday, Thursday, Friday (Ya, Ya, Ya..) Chii, aje Top boy I’ll be your DJ Monday, Tuesday, Wednesday, Sunday, Monday Aje.. Aye.. elele.. [Chorus] I’ll be your DJ Na me go play for you Na you dey make me ginger my swagger turn up the club we we I’ll be your DJ Omo omo i go add extra yeah Na you dey make me ginger my swagger turn up the club we we (Claro!) Oh [Verse 1] Baby your skin melanin Fly carpet allergy .. dap! Baby masun, oya ji My chain dey light up halo jean Ey je.. Oya ji.. o masun And i see everything i do Na my concept dem dey use With their long neck day dey look If i could run away Ey na to run with you I go go far away (far away) eh eh To a place Where money dey [Chorus] I’ll be your DJ (Shekpe!) Na me go play for you Na you dey make me ginger my swagger turn up the club we we I’ll be your DJ Omo omo i go add extra yeah Na you dey make me ginger my swagger turn up the club we we I’ll be your DJ (Shekpe!) 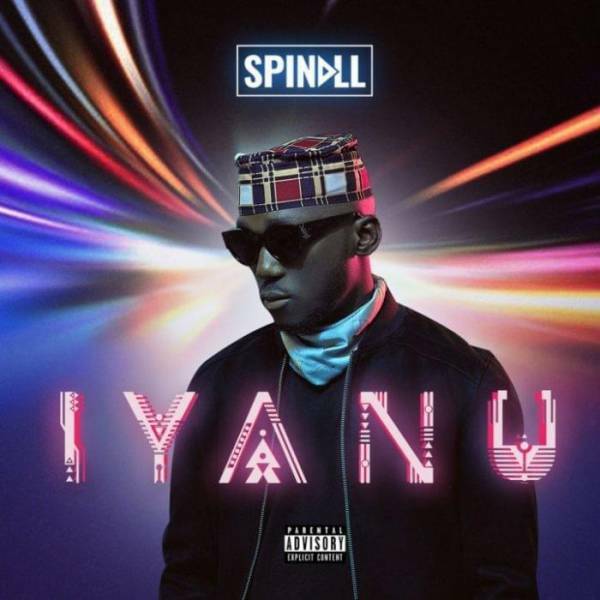 Na me go play for you (Spinall) Na you dey make me ginger my swagger turn up the club we we I’ll be your DJ (Spinall) Omo omo i go add extra yeah Na you dey make me ginger my Swagger, turn up the club we we [Interlude] I’ll be your DJ Monday, Tuesday, Wednesday, Thursday, Friday Chai.. Aje Chai.. Aje I’ll be your DJ Holiday, one day everyday, Sunday, Ee .. day That one won na aja [Verse 2] Yeah Halima yeah Odinma That baby won chop my assurance That baby won chop my dollars Eh, like Spinall.. OBO dey do her Baby girl come chop my dollar Omoge come shop my assurance Chioma If I could run away Na to run with you I go go far away (far away) To a place.. where money dey [Chorus] I’ll be your DJ (Shekpe!) Na me go play for you (Spinall) Na you dey make me ginger my swagger turn up the club we we I’ll be your DJ Omo omo i go add extra yeah Na you dey make me ginger my swagger turn up the club we we (Claro!) Oh [Interlude] I’ll Be Your DJ Monday, Tuesday, Wednesday, Thursday, Friday Chii . . aje Chii . . aje I’ll be your DJ Damn fresh on the beat Elele aje..